It’s OK—we’re not judging. There’s such a wide variety of tactics available to carry out your digital marketing strategy, that it’s unlikely you’ve tried them all. But if you’re still looking for more traffic and sales (and let’s be honest, who isn’t? ), these five ecommerce digital marketing tactics should be high on your list. 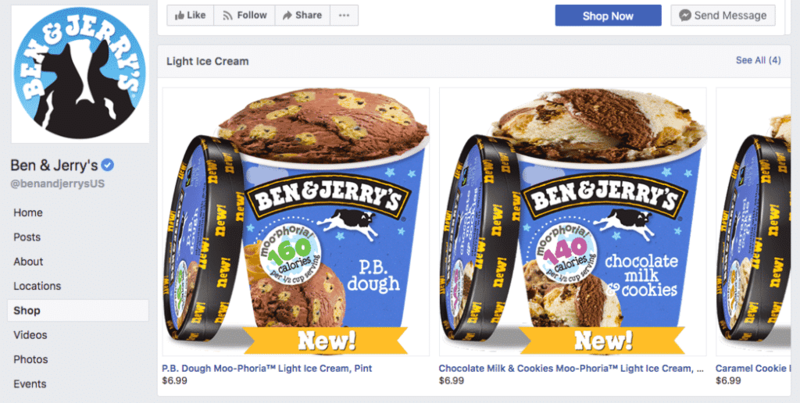 Set up a Facebook Shop: turn fans into shoppers. If you’ve taken the time to build an engaging and lively Facebook page, make it one step easier for your fans to buy from you with Facebook Shop. With a Facebook Shop section, you can upload your catalog directly to Facebook and opt either to have them checkout right there (this feature is still rolling out in the US only), or complete the purchase on your site. If you use an ecommerce platform like Shopify, BigCommerce, or WooCommerce, Facebook has a third party integration pixel that makes setting up the Shop section pretty painless. Extra bonus: once you have a Facebook Shop setup, you can connect it to your Instagram business profile and can create shoppable posts on Instagram. Incorporate (more) user generated content: let your shoppers enhance their own experience. The vast majority (90%) of consumers say that they make buying decisions based on online reviews. If you don’t already have reviews on your site, add them ASAP. Tools like Yotpo or PowerReviews make it easy to do so. Allow shoppers to post questions and answers, too. This helps make sure they’re getting the information they need to complete their purchase, lightens the load on your customer service team, and gives you valuable intel that you can use to improve your site. It’s also a great way to build loyalists who love your products, and love providing their feedback. Go beyond cart abandonment emails: bring casual browsers back, too. Cart abandonment emails are a hot tactic, so chances are you’re probably already doing this. But are you personalizing them? The best responses come from cart abandonment emails that include the products that were left in the cart. And you can further improve your chances of getting a sale by also including product recommendations. But don’t stop there. 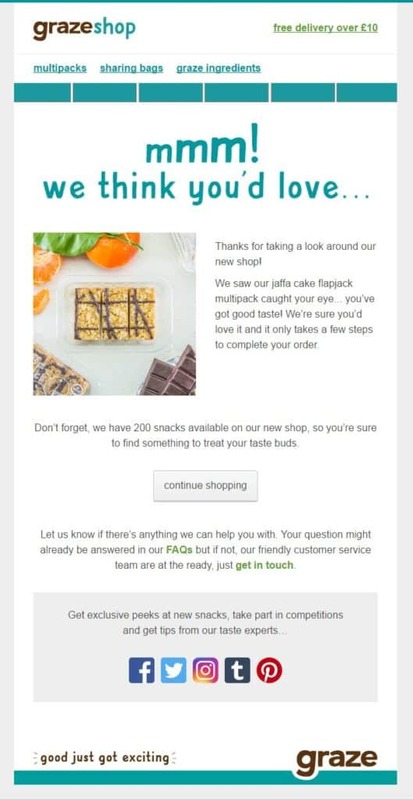 Go above and beyond cart abandonment and send emails to shoppers who browsed but didn’t put anything in the cart (sometimes referred to as “browse abandonment emails”). Send an email based on where they left off on your site, such as a category, a specific product page, or a site search query. Show what they were looking at, add additional recommendations and keep CTAs simple and direct. A/B test your pages: continuously optimize and maximize results. It’s amazing the impact the color, size, and placement of a CTA button can make. And that’s just the tip of the iceberg. To really fine tune your website, make sure you’re testing a variety of elements on your product pages, like product photos, descriptions, color schemes, layouts, free shipping, and sidebar filters, to name a few. Don’t just test product pages—test different pages in the checkout process too, to improve completion rates. If you use Google Analytics to track your website, you can also use it to run A/B tests. There are other A/B testing tools like Optimizely and VWO that you can also look into. Add a dynamic retargeting campaign: bring back site visitors who left without buying. A whopping 96% of visitors to your site will leave without buying anything. But that doesn’t mean they’re lost forever. With a dynamic retargeting campaign, you can reach those shoppers with personalized display ads as they browse elsewhere across the web, mobile, social, and apps. An advanced retargeting solution can deliver ultra-personalized ads that are tailored based on each shopper’s preferences, browsing history, and likelihood to convert. It can also link a shopper across different devices and environments, so you can deliver a consistent, seamless experience wherever they are. And if you choose a performance-based solution, you’ll only pay if someone clicks on your ad. By freshening up your marketing strategy with these tactics, you’ll gain valuable information and, more importantly, improve performance and profits. Want more ecommerce digital marketing insights? Read our Retargeting eBook.